The Kelowna Rockets get set to take on the Seattle Thunderbirds in the Western Conference Championship of the 2017 WHL Playoffs. So far in 2016-17 the Rockets have held the edge over the Thunderbirds, finishing the season series with a record of 3-1-0-0 against the Birds. On October 22nd the Rockets were led by rookie Kyle Topping who potted his first career hat trick in a 5-1 victory. On December 7th the Rockets knocked off the T-Birds 6-1, this time collecting three goals from leading goal scorer Calvin Thurkauf. On February 13th Kelowna hosted the Thunderbirds for a Family Day afternoon match-up. Seattle led 3-2 going into the third period before the Rockets notched four third period goals to take the contest 6-3. That night Kelowna had Nick Merkley’s goal and two assists to thank on the offensive front. In the most recent meeting, the T-Birds beat the Rockets 5-3 on February 25th. Dillon Dube had a goal and an assist in that one. So far this season Merkley has found the most success against the T-Birds, recording a goal and five assists in four games against the club. On the other side Ryan Gropp has five goals and two assists in three games against the Rockets this season. This is far from the first playoff meeting between the two clubs. This season marks the eighth playoff match-up with the Thunderbirds, with a series win/loss record of 4-3. The Rockets and Thunderbirds first met in the playoffs following the 2000-01 season. The two met in the first round with the Thunderbirds taking that best-of-seven series 4-2. In 2002-03 Kelowna and Seattle faced off in the Western Conference Championship and the Rockets won that series by a 4-1 score. The two clubs met once again in 2004-05 in the second round of the post season with the Rockets eliminating the Thunderbirds 4-3 in the best-of-seven. The T-Birds and Rockets met again in 2007-08 in another series that went the distance, but this time the Thunderbirds took the 4-3 edge knocking Kelowna out in the first round. Following the 2012-13 season Kelowna and Seattle faced off in the first round again, once again going all seven games, with five of those games going to overtime. Kelowna won the seventh game 3-2 in overtime to knock the Thunderbirds out of contention. The clubs ran into each other again the next season (2013-14) in the second round but this series was on the opposite end of the spectrum as the previous season, showing the Rockets sweep the Thunderbirds in four games. The Rockets and Thunderbirds most recent meeting came last season in the Western Conference Championship when Seattle responded to their previous playoff encounter with a sweep of their own. This year marks the Kelowna Rockets ninth appearance in the Western Conference Championship, and third WC Championship against the Seattle Thunderbirds. So far in their franchise history, the Rockets are 4-4 in their eight previous kicks at the can. Kelowna’s first appearance in the Western Conference Championship came in the 2001-02 season in which they fell in the best-of-seven 4-1 to Kootenay. The next season in 2002-03 the Rockets were right back in the WC Championship, this time against the Seattle Thunderbirds. The Rockets prevailed 4-1 in that best-of-seven on their way to their first ever WHL Championship. In 2003-04 the Rockets were back in the WC Championship facing off against the Everett Silvertips. 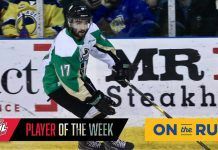 Everett knocked the defending league champs out in a series that went the full seven games after the Rockets led the best-of-seven 3-1 and the Tips pulled out three overtime victories in a row (scores were 1-0, 2-1, and 2-1) to take the series 4-3. The Rockets weren’t done that season yet though, as they played host of the 2004 Memorial Cup. 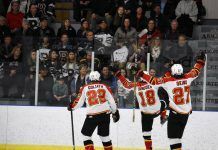 Kelowna went 3-0 in round-robin play giving them a bye to the finals in which they defeated the Gatineau Olympiques of the QMJHL 2-1 in front of the 6,636 ecstatic fans at Prospera Place to capture the franchises lone Memorial Cup title. The following season (2004-05) the Rockets continued as a dominant force in the league, claiming the WHL title once again defeating Brandon 4-1 in that best-of-seven. Kelowna didn’t make another appearance in the WC Championship until the 2008-09 season in which the Rockets once again captured the WHL Championship, which in 2007 was renamed from the President’s Cup to the Ed Chynoweth Cup in honor of the late Ed Chynoweth’s long service in junior hockey in Canada. The Rockets took the title that year beating the Calgary Hitmen 4-2 in the best-of-seven. Kelowna was back in the WC Championship in 2013-14 when they lost to the Portland Winterhawks 4-2. 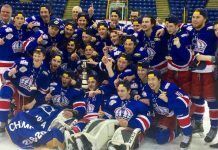 In 2014-15 Kelowna came right back to the WC Championship and this time they made it all the way through, once again taking home the Ed Chynoweth Cup, sweeping the Brandon Wheat Kings 4-0. The club went on to fall one goal short of their second Memorial Cup title, losing 2-1 in overtime to the Oshawa Generals. Last season, the Rockets were right back in the WC Championship again. Kelowna was swept by the Seattle Thunderbirds, but the four game oust wasn’t as one-sided as the series score indicated. The Rockets lost 2-1 and 3-2 in Kelowna before heading to Seattle where they fell 3-1, and then were eliminated 5-4 in double overtime. So far in the 2017 WHL Playoffs the Rockets have a win/loss record of 8-3 while the Thunderbirds have a perfect 8-0 record through two rounds. 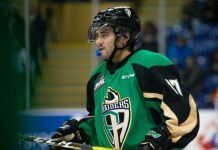 Reid Gardiner: Kelowna is currently being led in the post season by sniper Reid Gardiner, who was acquired at the trade deadline from the Prince Albert Raiders system (he was playing for Wilkes-Barre Scranton Penguins in the AHL when the Rockets acquired his rights). Gardiner currently leads all WHL Playoff scoring with 12 goals and 10 assists for 22 points in just 11 games played. Tyler Wong of the Lethbridge Hurricanes also has 22 points (11G, 11A), but he’s played 14 games. Gardiner has been clutch in two games in which Kelowna has clinched a series so far in these playoffs. 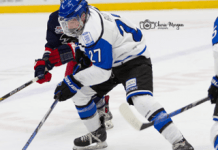 He scored three goals in a 4-2 win that eliminated the Kamloops Blazers in the first round. In the second round he put home four goals and added two assists in the 6-2 series clinching game six against the Portland Winterhawks. Gardiner collected five goals and one assist for six points in the first round before exploding for seven goals and nine assists for 16 points in the next six games against Portland. Calvin Thurkauf: After being held without a goal and only two assists against the Kamloops Blazers, Calvin Thurkauf ignited for five goals and five assists in six games against the Portland Winterhawks. Thurkauf was the Rockets leading goal scorer through the regular season, finishing the campaign with 33 goals and 37 assists for 70 points. Devante Stephens: Devante Stephens has been a very useful asset in all areas of the post season so far. He has mustered six assists in 11 games so far, while being used in every game situation. Stephens had to elevate his play for the final two games of the last series and will have to continue to do so in the absence of top blue liner Cal Foote who has one more game of a three game suspension to serve. Michael Herringer: Michael Herringer has been stellar between the pipes for Kelowna thus far in the post season. He’s started all 11 games, boasting a record of eight wins and three losses. He’s posted a .924 save percentage and a 2.18 goals against average in those 11 games. Those numbers have improved from his regular season save percentage of .904 and goals against average of 2.78. Keegan Kolesar: The 6’2 223lb power forward Keegan Kolesar currently leads the charge for the T-Birds. He’s managed six goals and 11 assists for 17 points in just eight playoff games so far. Kolesar was a large part of the elimination of the regular season Western Conference champs the Everett Silvertips. Kolesar notched two goals and an assist in game four sending the Tips packing. Mathew Barzal: Mathew Barzal missed the first round of the post season due to illness, but it didn’t seem to slow him down when he did enter the playoffs. In his four games against the Silvertips he recorded four goals and three assists for seven points including a goal in the final game of that series. 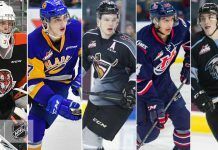 Ethan Bear: The fifth round Edmonton Oilers draft pick is having a whale of a post season from the Thunderbirds blue line, so far recording three goals and 10 assists for 13 points in eight games. Bear had a massive outing against the Tri-City Americans in the first round posting two goals and three assists from the back end in their 9-2 game three thrashing of their divisional rival. 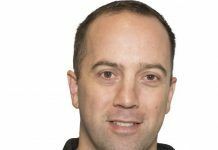 Carl Stankowski: The Thunderbirds are getting fantastic goaltending, but it’s not coming from their regular starter Rylan Toth. Carl Stankowski is a 17-year old rookie from Calgary, AB who only played in seven regular season games prior to the playoffs. He finished with a record of 3-0-0-0 with a .910 save percentage and a 2.18 goals against average. So far in the post season he has eight wins, no losses, combined with a .913 save percentage and a 2.24 goals against average. This kid is the real deal. Game one of the Western Conference Championship against the Thunderbirds starts on Friday, April 21st at 7:35pm at the ShoWare Center in Kent, Washington. Game two will be the following evening at 7:05pm, at the ShoWare Center once again. The series shifts back to Kelowna for games three and four. Game three is on Tuesday, April 25th at Prospera Place. Game four is the following night, Wednesday, April 26th. Puck drop for both of those games is at 7:05pm.